Workers’ compensation is an insurance system established to provide financial support and lifetime medical treatment to employees who have been injured on the job or off the job while performing a work-related task. It also benefits employers and protects them when their employees are injured. What Types OF Common Injuries Are Covered? For an employee, it is important to know what kind of injuries are common and will regularly be covered by workers’ compensation. This is because, it ensures that medical help will be provided by the employer when necessary. Though every work environment has its own different type of compensation, there are some common injuries covered by worker’s compensation. This article outlines some of the most common work injuries covered by worker’s compensation. Poisonous plants and animal bites are very common for people who work outdoors. As such, it becomes one of the most common type of injuries covered by worker’s compensation. It is especially common for people who work on farms and those who are a part of biological studies. Burns are another type of injury that are covered. Every business is prone to a fire attack, as such burns are often treatable by worker’s compensation. 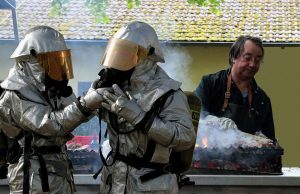 Next time you get burned on the job, be sure to make use of your compensation. Carpal Tunnel Syndrome is a common injury that largely affects people working on computers such as writers, accountants, and data entry clerks. It is usually resolved with a minor surgery that is commonly covered by worker’s compensation. Therefore, if your hand starts cramping up, just inform your employer and get it fixed as soon as possible. Drug and Blood-borne Risk Exposure/Needle-sticks is common is hospitals and testing facilities. As such, lab assistants and nurses often have the highest risk numbers. This is usually fixed easily, so it is commonly in the worker’s compensation. Fall injuries are common to both construction workers and firefighters, it therefore makes it a common injury covered by worker’s compensation. Falls can also occur in jobs working outside in rural areas, such as a tree-trimmer falling out of a tree or a forester falling off a cliff trail. Visit our website today to find out more on injuries in the workplace and what to do about them. You can also sign up for our newsletter today for insights and more articles. In order for productivity to increase and maximum output to be achieved, the work environment needs to be friendly and conducive for all employees. In order to achieve this status, all managers need to be aware of workplace hazards. While each working environment has its own potential hazards, there are those that occur more than often. 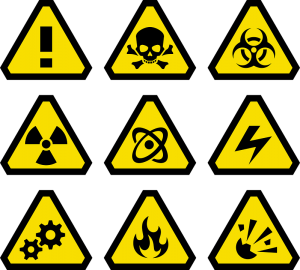 It is no surprise that chemicals are one of the most common workplace hazards. If you work with chemicals in the form of fumes, gases, liquids, solids, dust, vapors and corrosives you are at a greater risk of suffering a workplace injury. A potential hazard is transferring chemicals from one container to another. Even if employees feel comfortable around the chemicals and have worked with them for years, the containers must be labeled as required under the Hazcom standard. Even the smallest of spills can be consequential to the employees. The Bureau of Labor Statistics data shows that falls to a lower level accounted for 14 percent of all fatalities in 2014, and OSHA standards related to scaffolding and ladders are regularly among the most frequently cited violations. Some employers may not know they have to provide fall protection, or the fall protection gear may not be worn properly or not hooked up to anything. This makes it one of the most common workplace hazards. People who work directly with electricity, including electricians and engineers, are at risk of injury; these include people who work with electrical equipment. During adverse weather, a person making a fix with power tools outdoors can sustain electrical injury, it therefore makes electricity one of the most dangerous hazards in the workplace. It is especially bad because it can cause death. To find out more about workplace hazards, visit our website and social media pages for more helpful information plus other articles.